May 9, 2011 by Ken Ward Jr.
U.S. 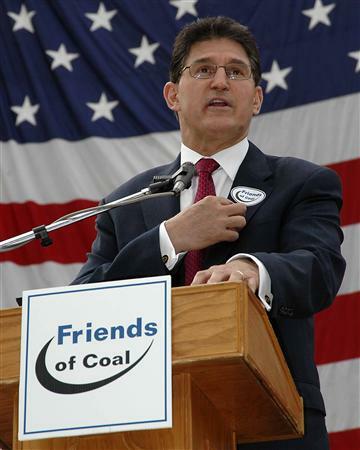 Senator Joe Manchin (D-W.Va.) today highlighted the critical role that coal will play in our nation’s energy future at the groundbreaking of the country’s first coal-to-gasoline plant in Mingo County, which is projected to create hundreds of new jobs and provide additional domestic resources to help bring down the price of gas. This coal-to-gasoline plant – the first of its kind in the United States – is projected to convert 7,500 tons of West Virginia coal into clean gasoline each day, which can be used to run cars, trucks, tanks and jets. It is expected to produce 18,000 barrels (756,000 gallons) of Premium 92 Octane gasoline each day. When it is fully operational, this plant is expected to create 300 full-time jobs. And, over a four-year construction period, its estimated that 3,000 skilled trade workers will be employed. So, this one plant — if it’s every built — would produce about one-third of the gasoline that West Virginia uses every day, at least according to figures published by the state Division of Energy. 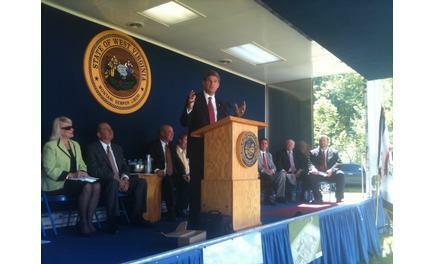 Now, Sen. Manchin doesn’t mention questions about the lack of financing (subscription required) for this project. He doesn’t mention lingering problems with the company’s state environmental permits — such as the fact that its stormwater permit for its construction not being issued yet. And Sen. Manchin certainly didn’t mention the biggest question facing the TransGas proposal: The fact that it has no plan for capturing and storing its greenhouse gas emissions, meaning the fuel it produces could end up generating twice as much carbon dioxide as traditional fuels. This country has to get serious about making energy independence a priority, which is why we must develop a national energy policy that harnesses all of our vast domestic resources and push forward with new technology – just like coal-to-gasoline – that will help us achieve energy independence within a generation. All West Virginians can be proud that Mingo County, West Virginia is at the center of a very exciting new frontier in energy technology that will help reduce our nation’s dependence on foreign oil.